Kathleen received her Master's in Social Work from Indiana University. She is an active member of St. Margaret of York Parish in Loveland, Ohio. Kathleen is an Indiana native and lifelong Catholic. She has two grown children that are married, one granddaughter and two grandsons. 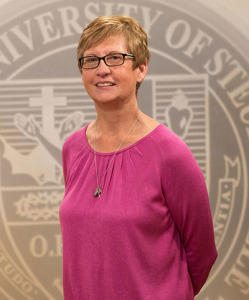 Kathleen is the Field Director/Full time faulty at Franciscan University of Steubenville.